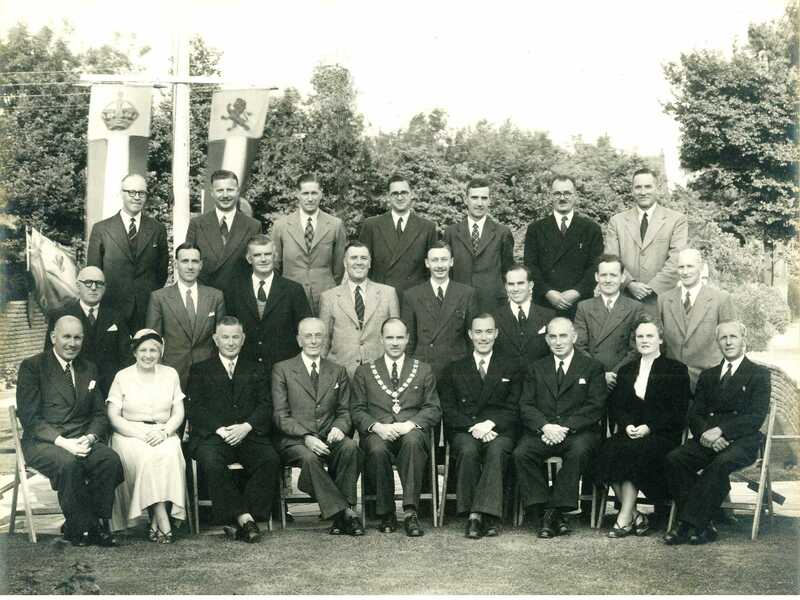 This photo, loaned to us by Castle Point Council, shows members and chief officers assembled for the group photo taken in July 1953. The Chairman at this time was R.B. Brittain, J.P.
George Brittain, father of the Chairman, R.B. Brittain is featured elsewhere on this website. Click here to see his story.